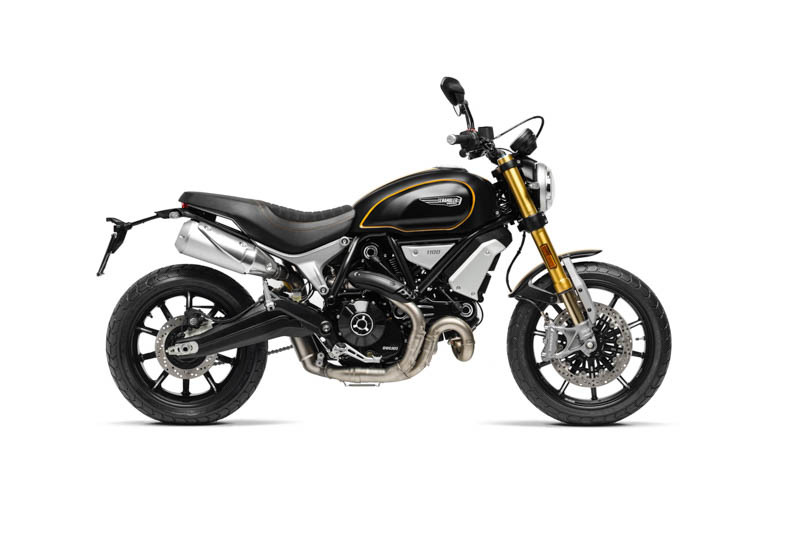 Today at EICMA, Ducati introduced the big brother to its successful Scrambler 800, the Ducati Scrambler 1100. 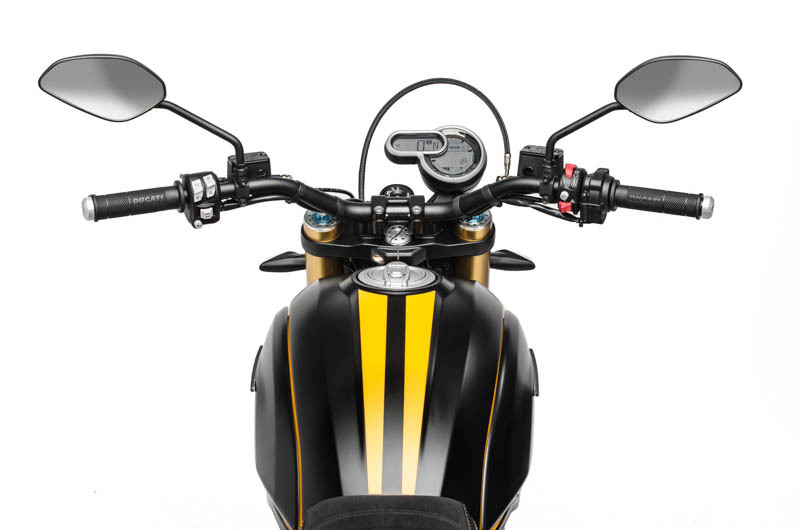 Here is the brief rundown and what you can expect from the new scrambler which is poised to take on others in the modern classic class like the Triumph Thruxton and Bonneville T120, Honda CB1100 and Yamaha SCR950. 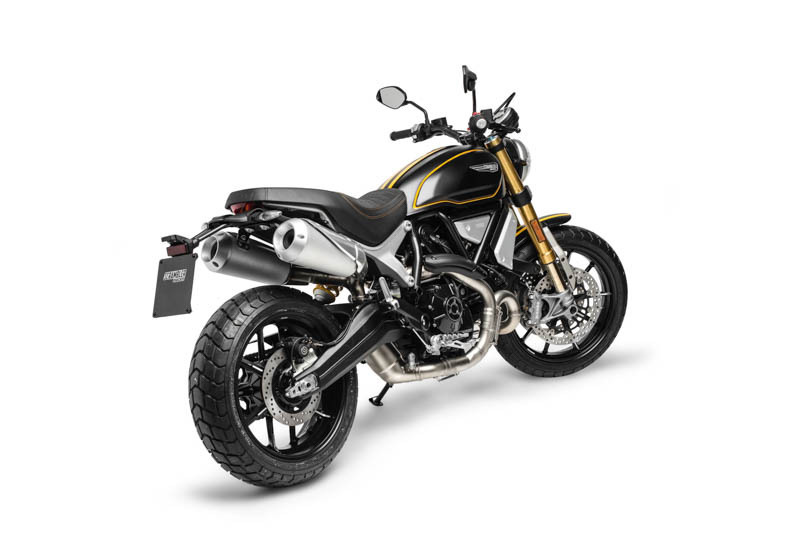 With the heart and soul of the Monster 1100, The Ducati Scrambler 1100 is gonna punch around town harder and faster than Tyson in his prime. 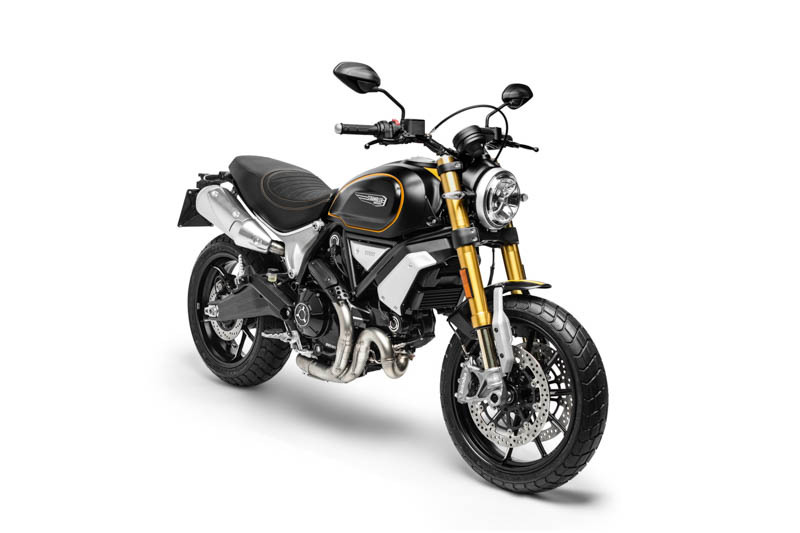 With the popularity of the Scrambler line, Ducati is upping the ante by introducing the Scrambler 1100. 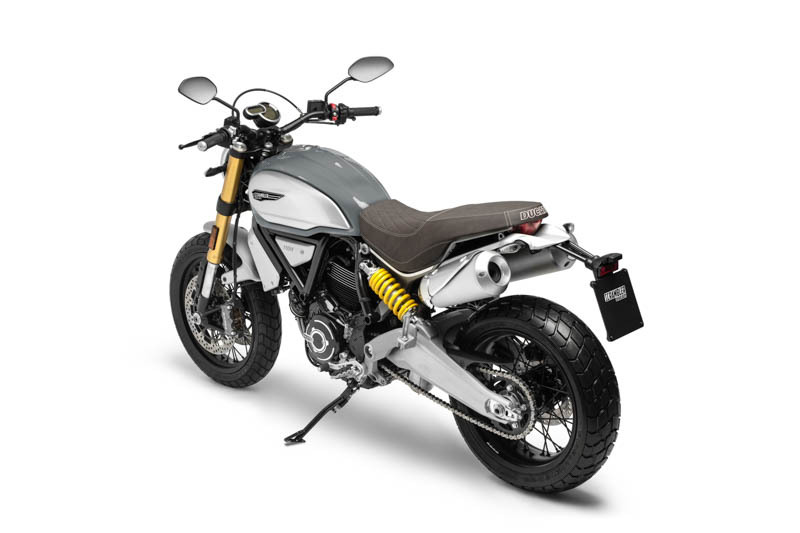 The beefier Scrambler will feature a new 1079cc L-Twin engine derived from the Monster 1100. 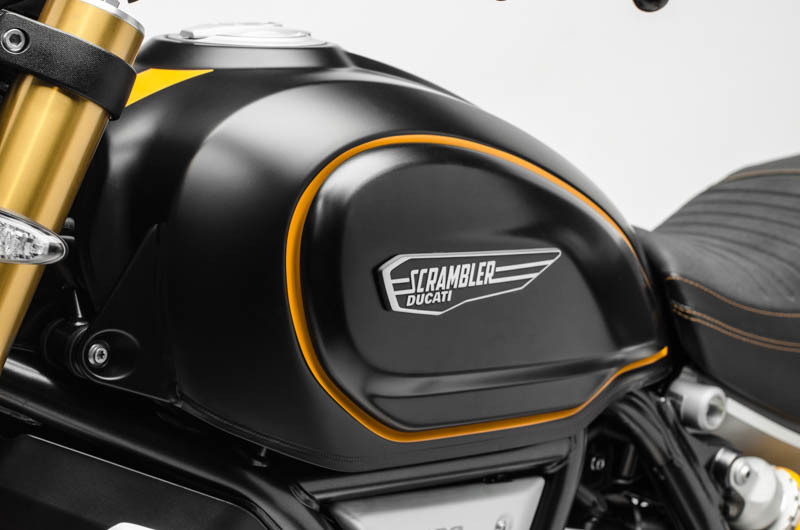 The new Scrambler will put out around 86 hp at 7,500 rpm and a maximum torque of 88.4 Nm at 4,750 rpm. 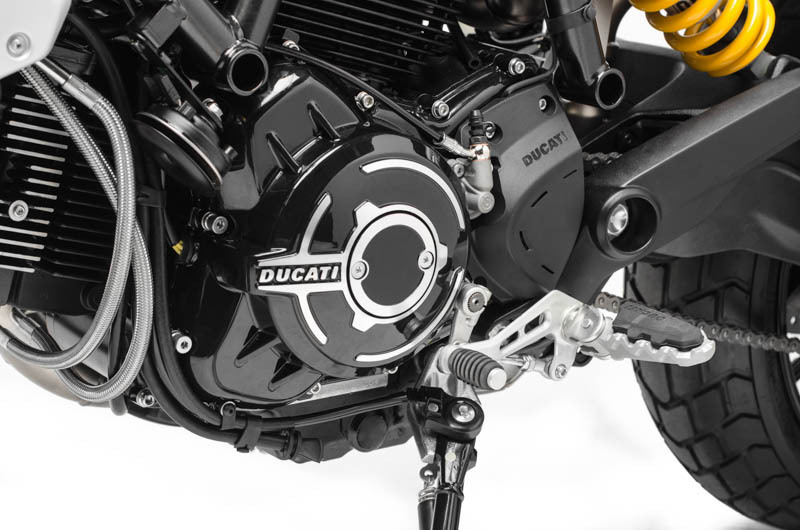 With number like this, we expect power delivery to be smooth and punchy through the rev range. 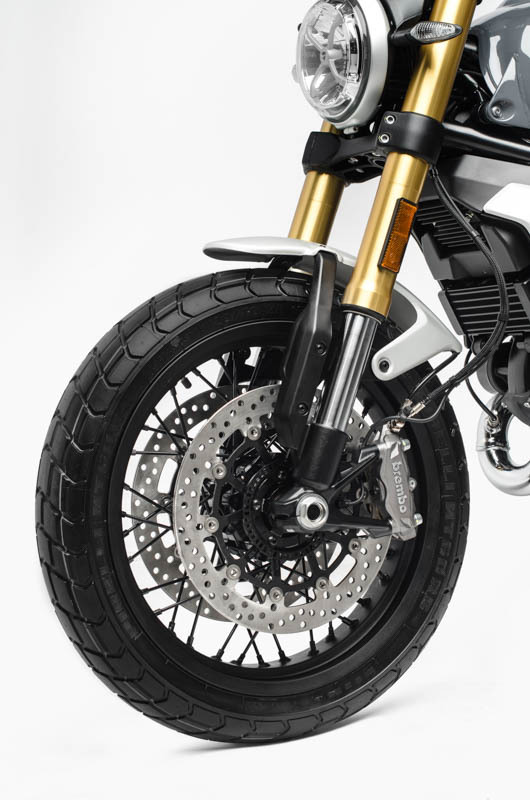 Pirelli specifically designed the MT60 RS tire for the Ducati Scrambler 1100. 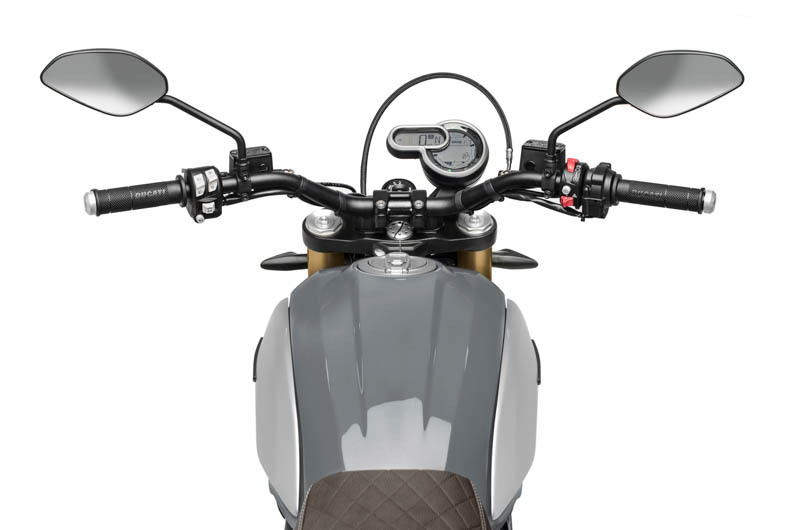 The Scrambler 1100 will also feature full technology package from Bosch which will include: ABS, Cornering ABS, and Traction Control systems. Other notable features will include a full ride-by-wire system, three ride modes: Active, Journey, & City. 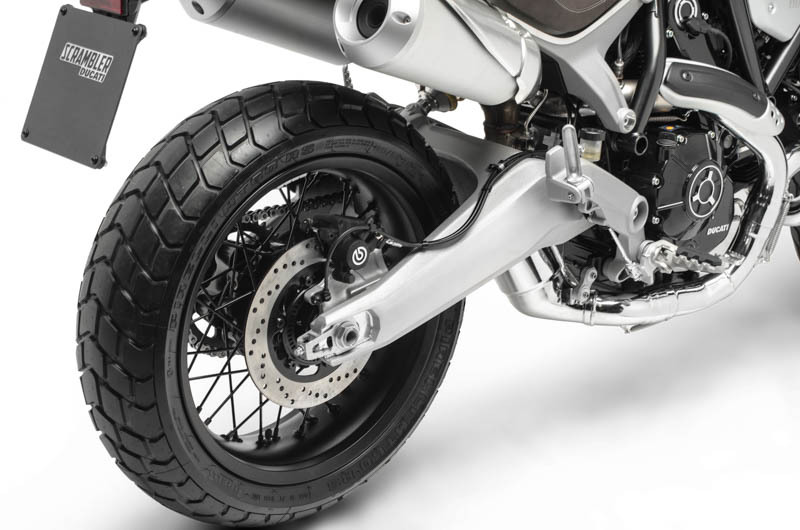 Active Riding Mode provides full engine power (86 hp), a direct throttle connection and a Traction Control level that's compatible with sport riding. 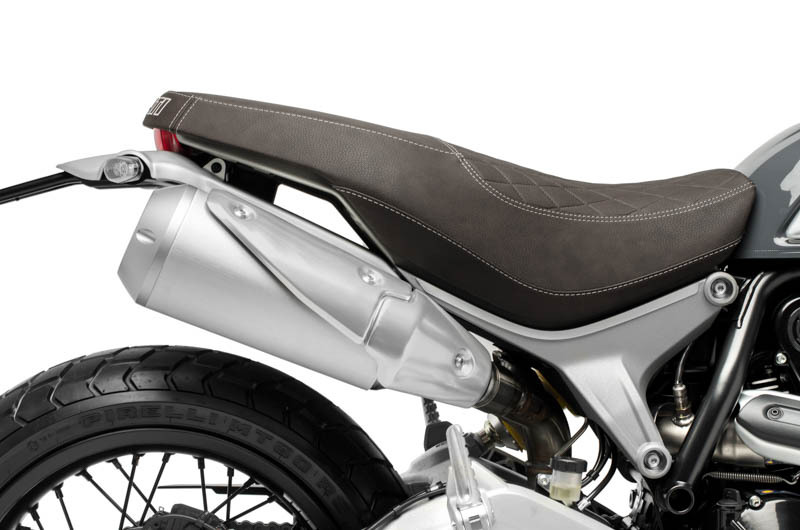 Journey Riding Mode is perfect for everyday use: full L-twin power (86 hp), a more fluid throttle connection than with Active mode and a Traction Control level developed for leisure riding. 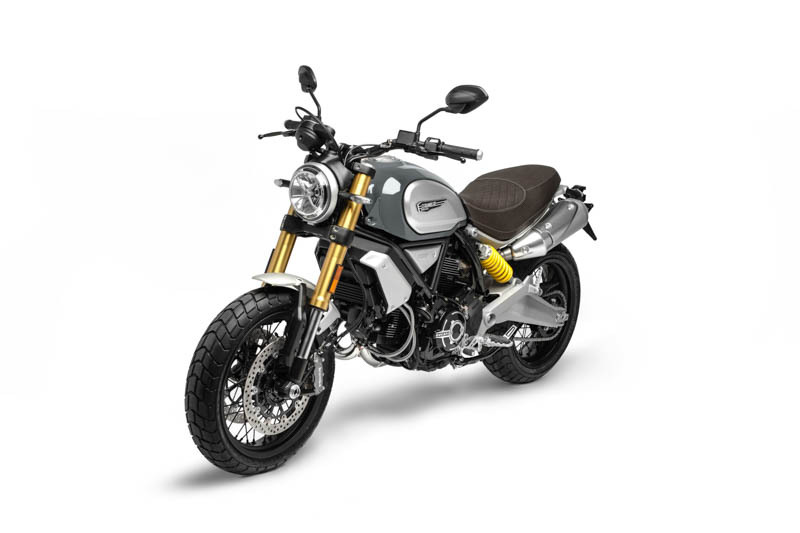 The third Riding Mode, City, lowers engine power to 75 hp (and 88 Nm of maximum torque), the same as on the Scrambler 800. If you are going to buy a bike it might as well do the job and make you look good at the same time. 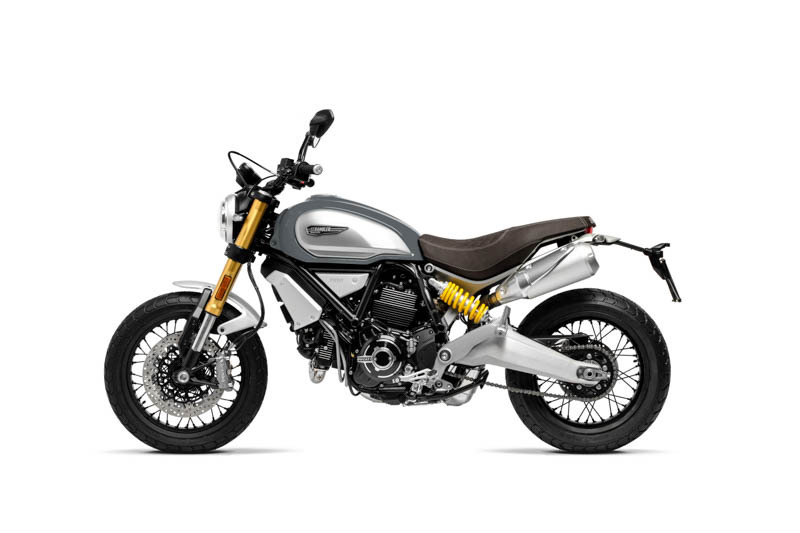 The Ducati Scrambler 1100 will feature an all-new twin upper spar steel Trellis frame to support the additional size and power produced by the new L-Twin. All while the rear is completed by an aluminum subframe. 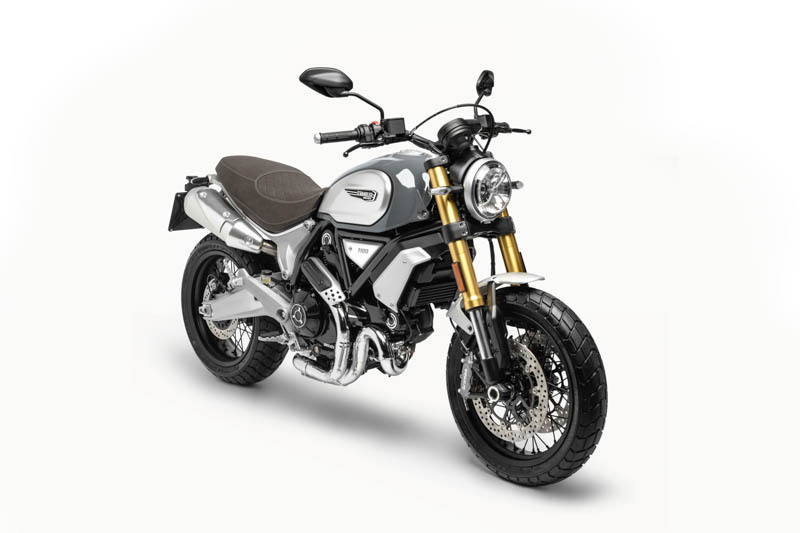 With a steering head angle of 24.5° and a 110 mm offset on the fork yokes, the Scrambler 1100 claims to be very maneuverable on city streets and alpine roads. We’ll have to see how nimble it is when we can get our hands on one. 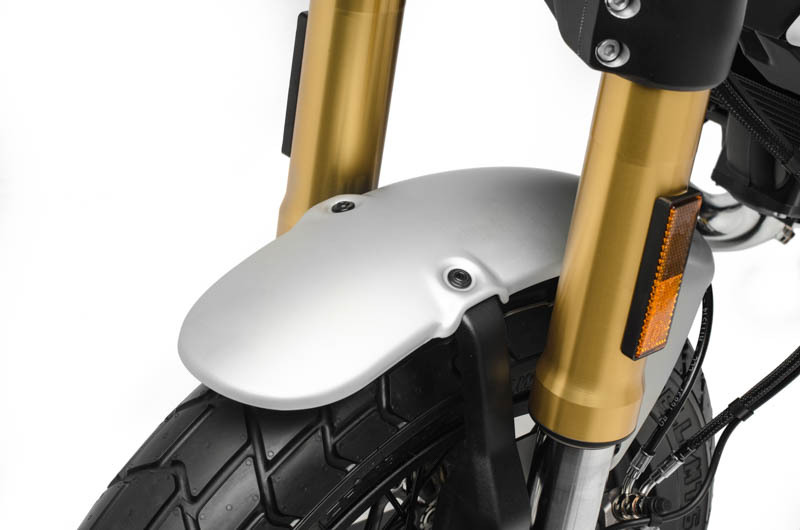 With a 3.9-gallon fuel tank, the Scrambler 1100 will allow for a decent range between fill-ups whether your goal is commuting or long stints on the highway. 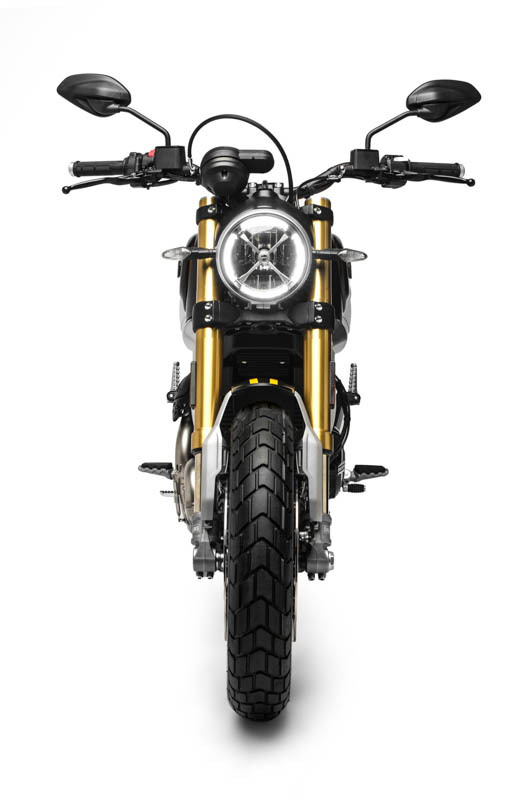 The Scrambler 1100 comes in three different versions: in addition to the base Scrambler 1100, consumers can opt for the Scrambler 1100 Special, which draws its inspiration from the custom world, and the Scrambler 1100 Sport, equipped with Öhlins suspension for the performance minded Scrambler riders. 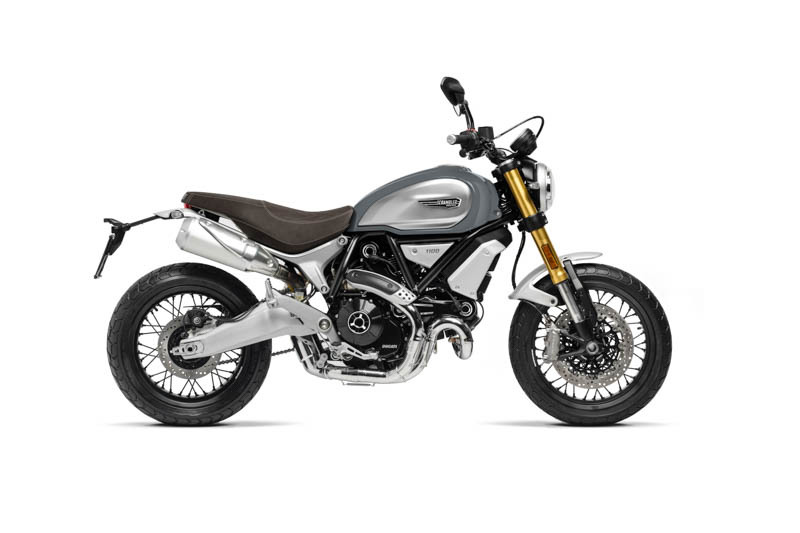 If the Scrambler 1100 is a success like its 800cc baby brother, will we see modified versions of the Scrambler 1100 in the coming years? 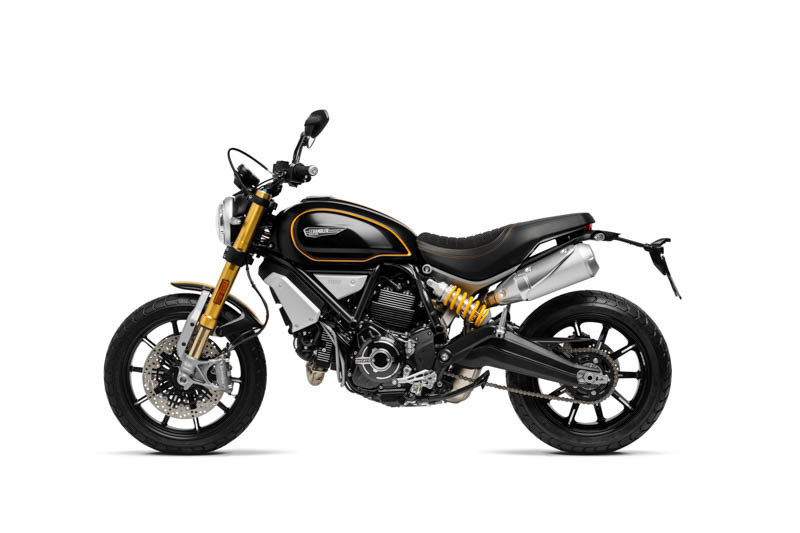 Perhaps something like a 1100cc Desert Sled? I am banking that we will. I am also hoping we will. 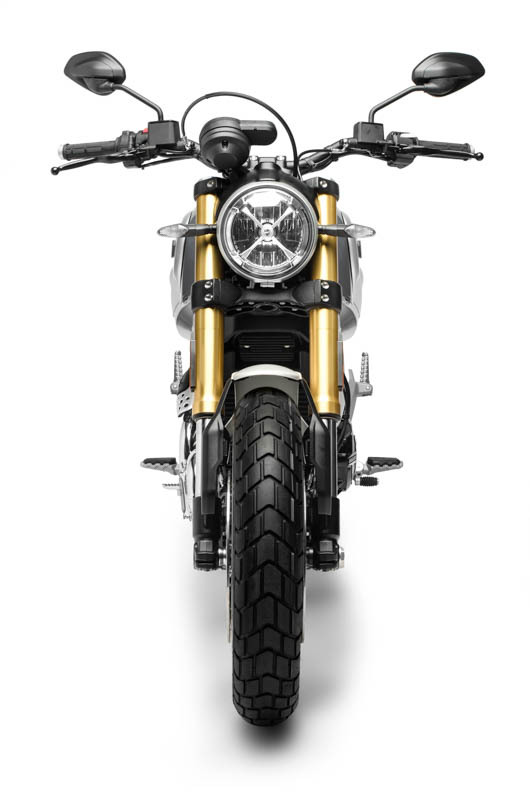 Taking its cue from the custom scene, the Scrambler 1100 Special has a decidedly “modern classic” feel thanks to black-spoked wheels, chrome exhausts, and aluminum front/rear mudguards. 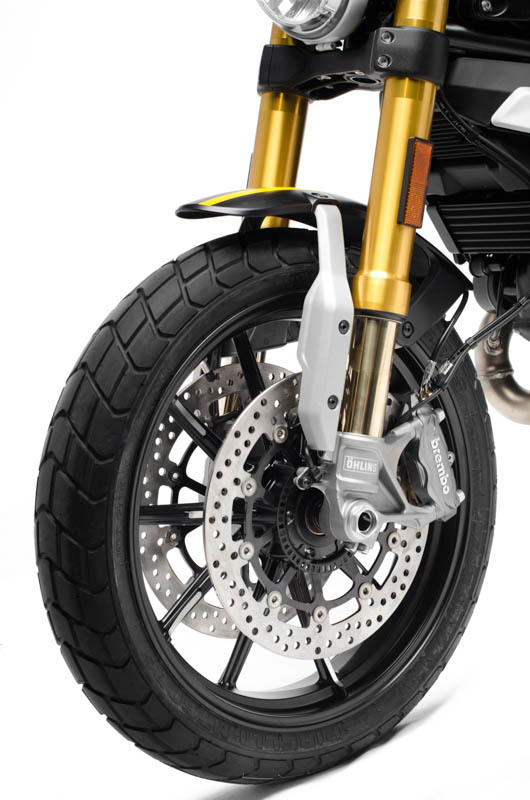 The “Custom Grey” color is unique to this version, as is the brushed-effect swingarm and the adjustable front fork with gold-colored anodized sleeves. 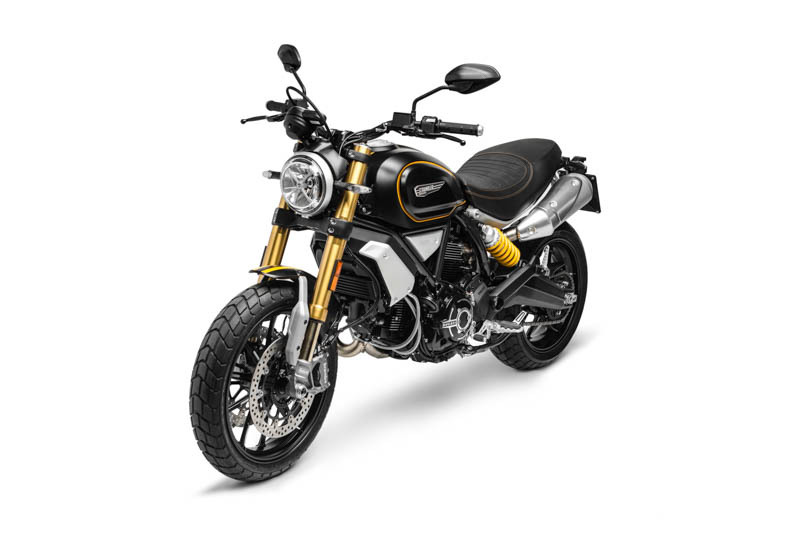 Other distinctive Scrambler 1100 Special elements include low-slung tapered handlebars and a brown seat with dedicated lining. 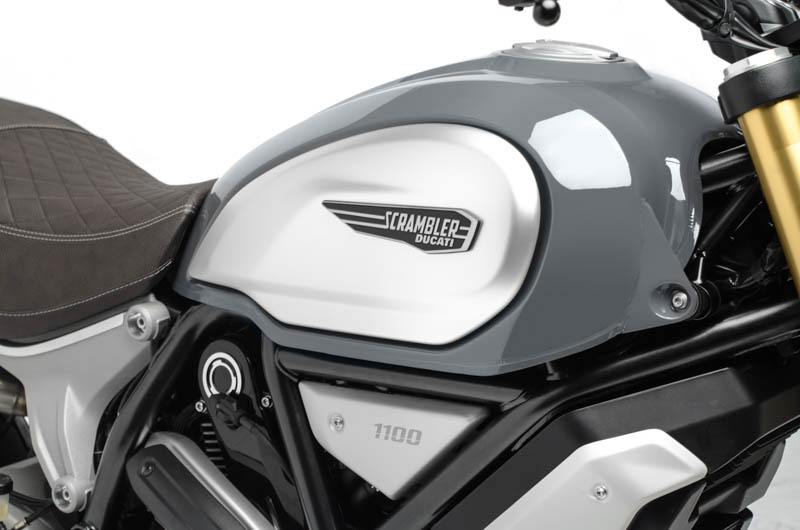 As the name implies, the Scrambler 1100 Sport takes a sportier angle. 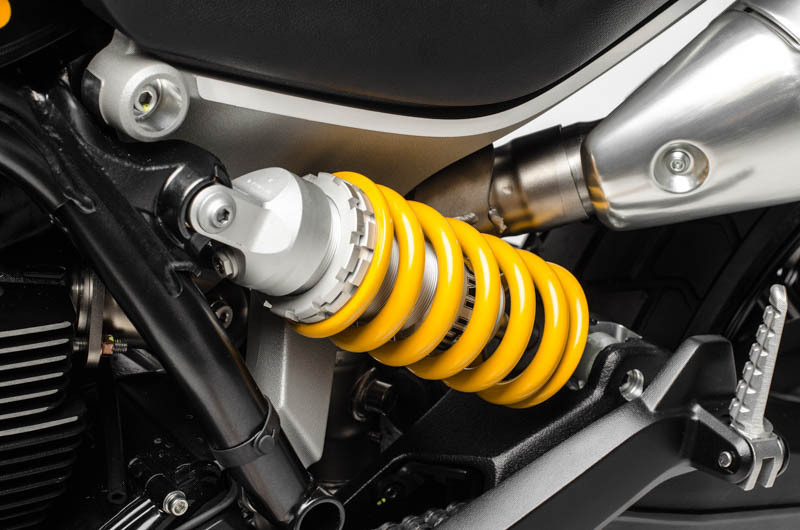 Inspired by the numerous “racer” bikes put together by Scrambler owners, this model is easily recognized by its forks and adjustable Öhlins shock. 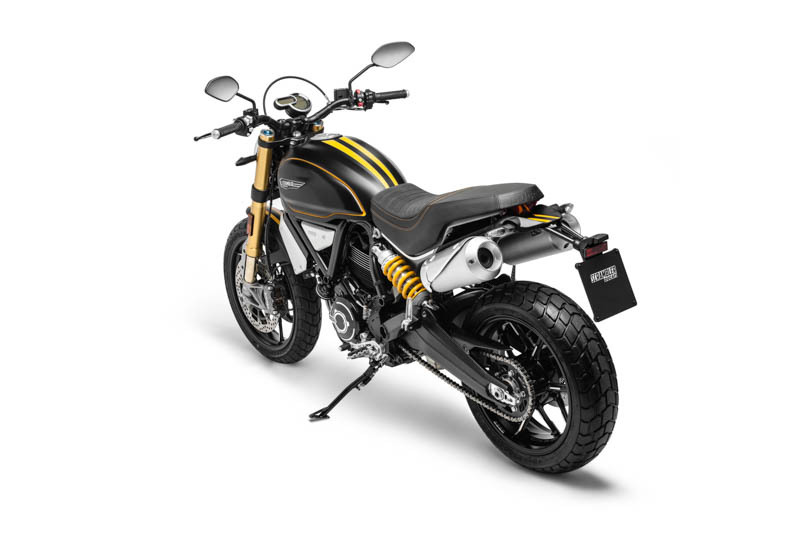 The Scrambler 1100 Sport comes in “Viper Black” with yellow tank sides and dual yellow striping down the middle of the tank and mudguards. 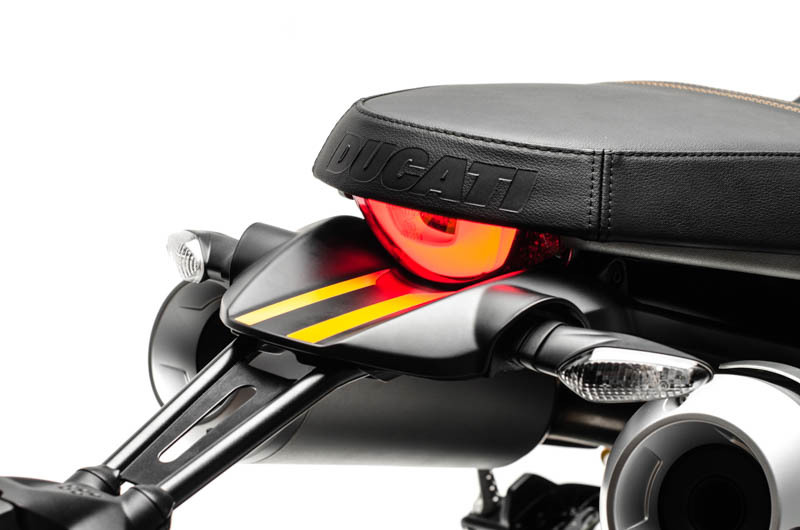 It also features aluminum wheels with machine-finished spokes, tapered handlebars and a seat with a dedicated lining. 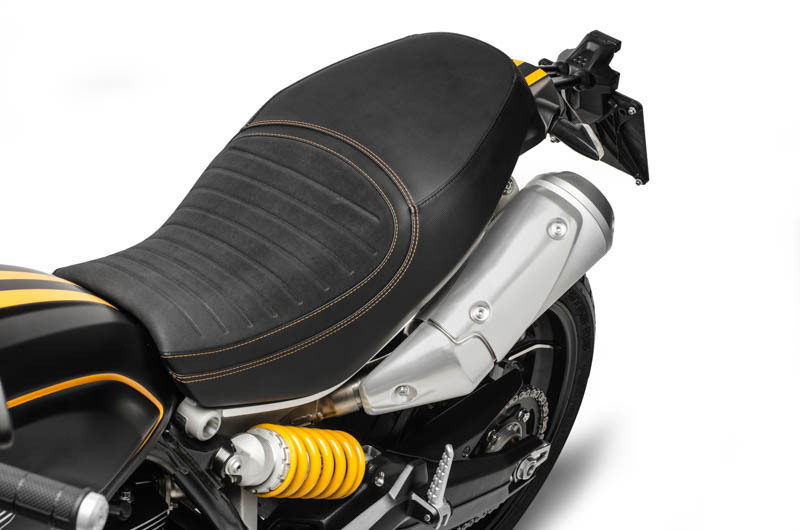 Fingers crossed for the unveiling of a street legal MotoGP bike this fall.